After what felt like six or so years of whispers, rumors, secret meetings, spy shots, and then minor internet implosion over the official pictures, Evan Klein spent an afternoon driving Mazda Raceway Laguna Seca, plus some of the curvier roads around the area, in the car that everyone—pretty much Mercedes-AMG included—is calling a 911-fighter. Bold claim; pretty car. Actually, let’s get that out of the way first: the car is GORGEOUS. Stunning. The first time you see one in the metal, it takes a second to realize you’re doing the slack-jawed yokel thing. I’m doing it now, just remembering the car. Okay, let’s move on. 1. It’s faster than it feels. You just don’t expect this level of composure from a long, low-slung rear-drive two-seater with a not-insignificant overhang, but then you glance down as you crest the hump on the front straight at Laguna and realize you’re inching past 120 mph and the car is just … fine. Totally normal, completely settled, nothing to see here, let’s try for 125, shall we chum? It’s definitely a car that opens up the more you push it—and that inspires confidence to push it even more on the next lap. Sure, it’s marketing fluff, but there’s some truth there, too. The carbon-fiber driveshaft weighs under 9 lbs and is used in Mercedes touring race cars. 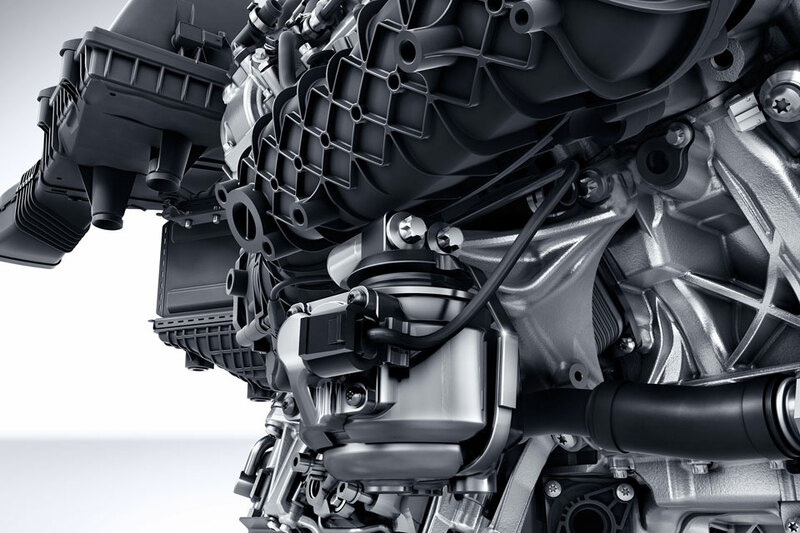 The cylinder liners feature a proprietary material called Nanoslide—essentially, they’re twice as hard as conventional grey cast-iron liners, reduce friction, and are very durable—which was also used in Mercedes Formula 1 engines during the 2014 season. There are lots of cool little problem-solving or make-better bits the more you look. 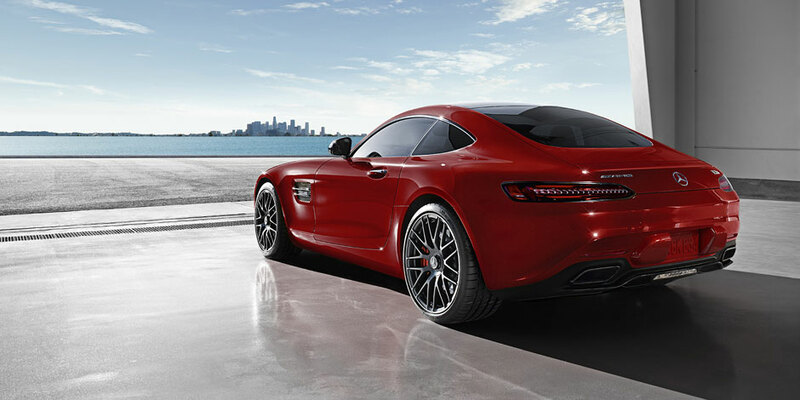 It’s a word you hear a lot from the AMG folks when talking about this car, in reference to everything from the variable-rate hydraulic rack steering to the throttle response afforded by the hot-inside V setup (meaning the two turbochargers are mounted internally), to the double wishbone suspension. And the GT S lays claim to that word: the steering is indeed excellent—you can put that long nose wherever you want it (provided you can see where you’re going, which is an issue at times thanks to the length and a decently sized A-pillar). Pull is immediate and ferocious—and mostly lag-free—throughout the rev range. 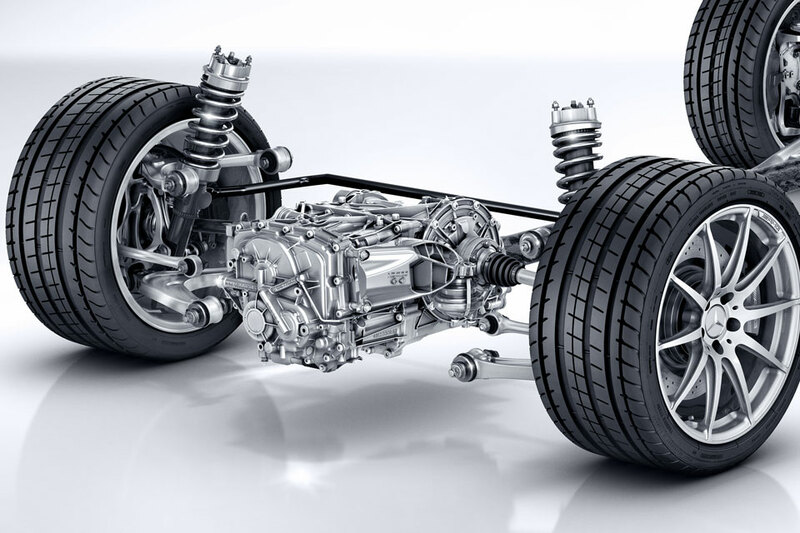 The suspension is wonderfully agile and responsive, thanks in part to the use of forged aluminum for the wishbones, wheel mounts, and steering knuckles. Even over heavy curbing through the Corkscew it’s very difficult to upset this car. 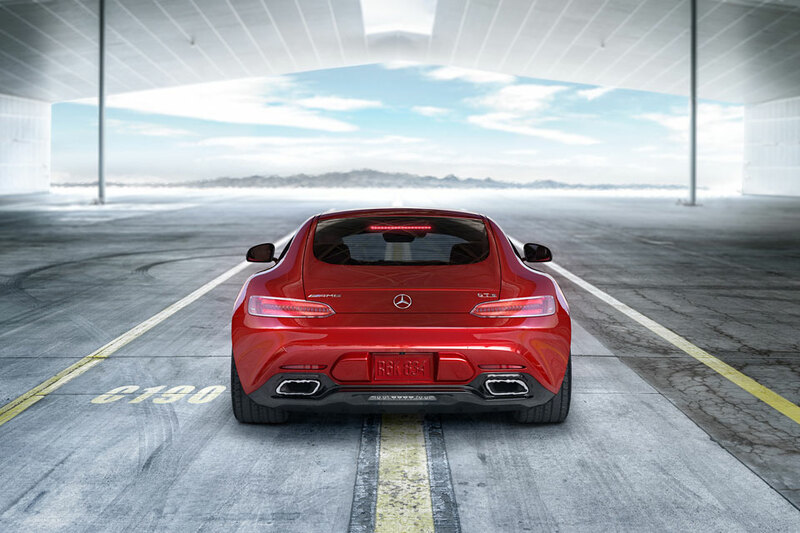 The exception is under full braking, at which point the back end starts dancing—like the old SLS AMG, though less pronounced and easier to correct for. 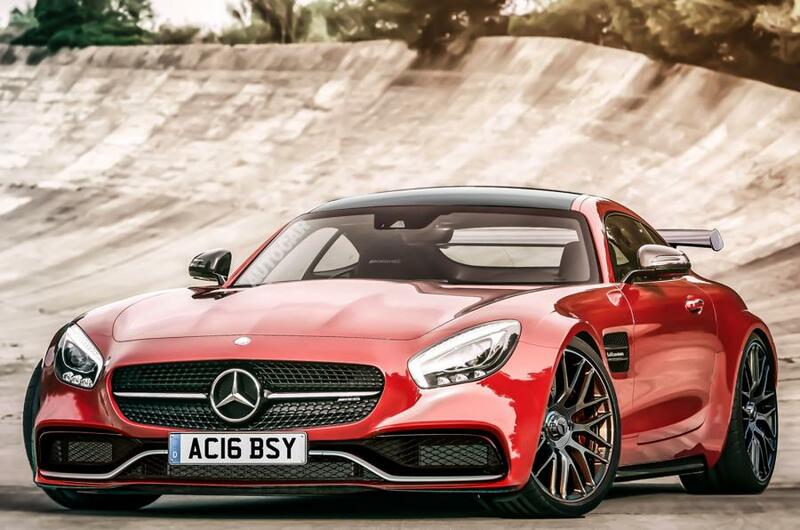 So, already we have the GT, the GT S (launching first), racing and road-going versions of a GT3 car, and the inevitable Black Series—and this is just what we know of within a week of the car’s launch. Looks like they’ve picked up a thing or two from their rivals at Porsche. 5. It’s not a 911. That’s not a bad thing. 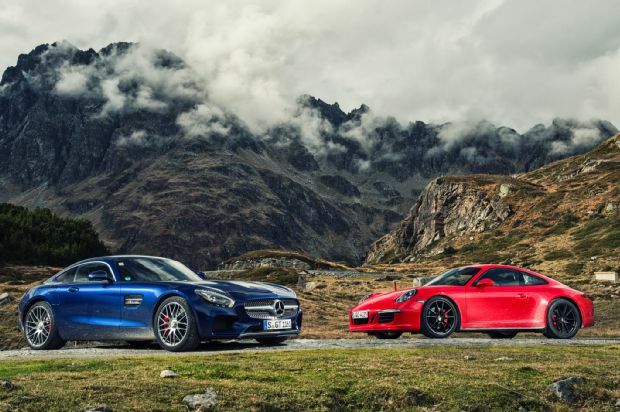 AMG is doing everything but openly calling out Porsche, but it’s a mistake to think they’re trying to make a better version of the 911. 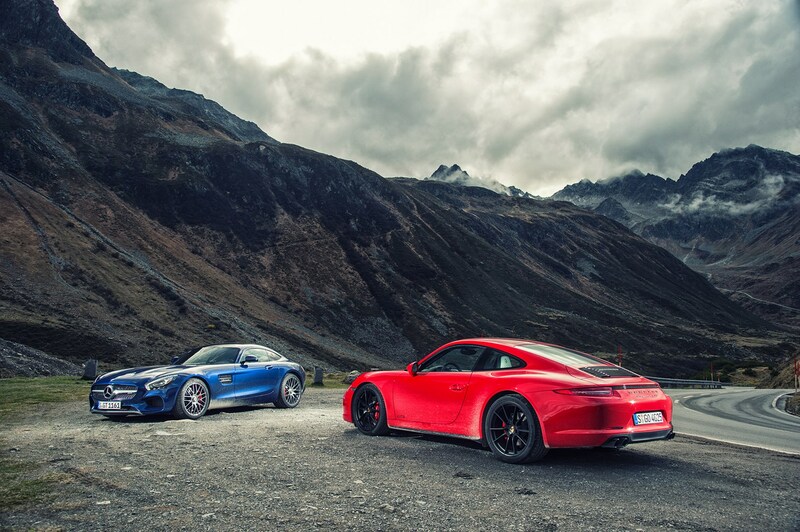 What they’re doing with the GT and GT S is providing an alternative to the idea of the 911. The GT S at times feels larger, more unwieldy, and yes, less composed than some of the more focused 911 variants, but the car provides a singular experience. It truly is stunning in the metal, one of those cars you’ll find yourself visiting in the garage at three in the morning. Add in a 4.0-liter twin-turbo V8 that plays a constant symphony of roars and growls and other wonderful noises, plus the fact that it’s properly quick around a racetrack—if only for some semblance of bragging rights, because I don’t think anyone expects customers to track these cars—and you know they’re going to sell every one they make.